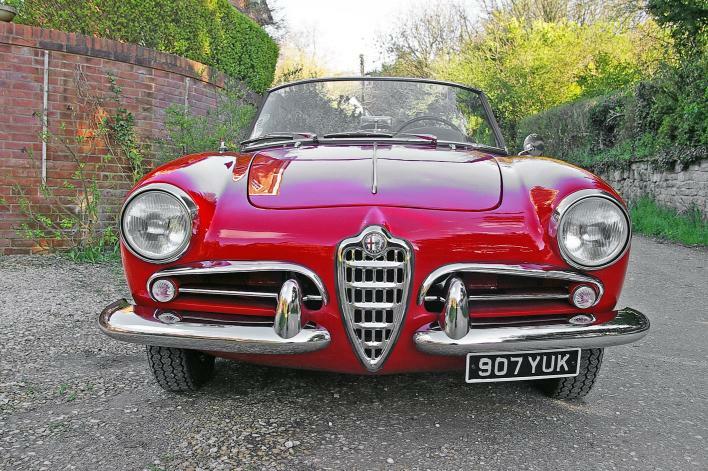 A CONCOURS 1960 Alfa Romeo Giulietta Spider will get pulses racing at it comes to sale at Historics auction on June 7. A total of 17,000 Alfa Romeo Giulietta Spiders left the Milan factory during the model’s 11-year production run, but the outstanding quality of the example that comes to sale at Historics at Brooklands auction has little resonance with the fact that this was Alfa Romeo’s first truly mass-produced car. The covers were removed from the elegant Giulietta Spider at the 1955 French Motor Show, 25 years after Italian automotive design house Pininfarina opened its doors in Turin. Originally conceived solely with the idea of exports to the USA via the Alfa Romeo West Coast distributor, Hoffman, the Giulietta proved a global sales success, and helped mould the illustrious future of Pininfarina. The Giulietta on sale at Historics’ largest sale of the year was among the first 600 to be sent to Hoffman. A letter on file from ‘Automobilismo Storico’ (the Alfa Romeo museum archive, Arase, Milan), which is included within the delightfully-presented history file, confirms that chassis AR 1495.09379 was manufactured on March 25, 1960 and sold to Hoffman Motor Co in the USA on April 20, 1960. The Giulietta was subsequently imported back to Europe on October 30, 1989. 19 years later, a fastidious, no-expense-spared restoration began and was completed three years later, in 2011. The works included the bodyshell being completely stripped down to bare metal with every component on the car dismantled. All areas of corrosion were removed and parts replaced as necessary. 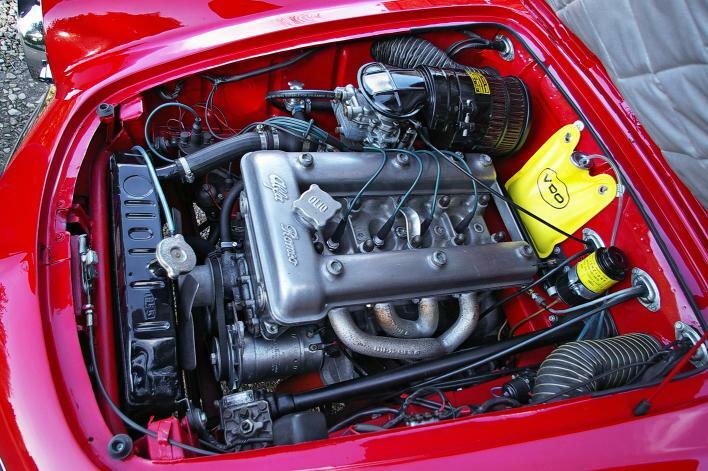 The shell was then treated and re-sprayed in Alfa Rosso Chiaro (AR 505) – an original Giulietta colour. All mechanical and ancillary components were either rebuilt or replaced. This includes the fully rebuilt 1,290cc engine, new stainless steel fuel tank, and restored steel wheels complete with new tyres (including the spare). To improve the usability, the original 4-speed gearbox was replaced with a rebuilt 5-speed unit and an electronic ignition system added to assist better starting, reliability and running. 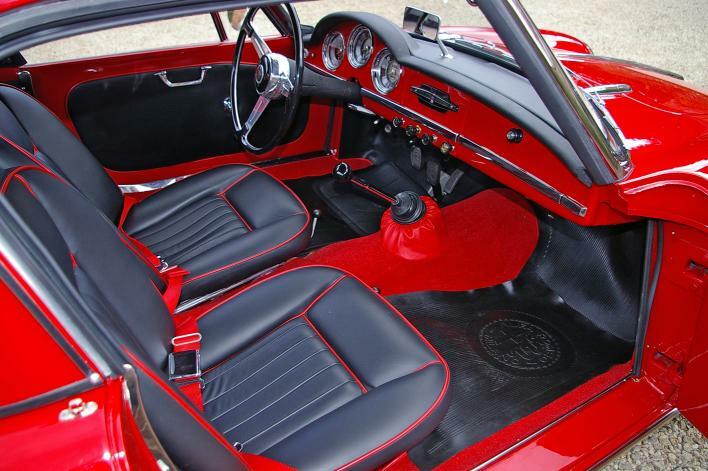 The same superb attention to detail applies to the interior of this magnificent Giulietta. All new wool carpets were fitted, the seats re-trimmed in leather and new door cards and side panels fitted. A new mohair hood keeps the weather out when required and, for winter use, the rare and desirable Pininfarina hardtop has been sourced and refurbished with new sealing rubbers, side and front fixing hooks, full internal beige lining and finished in Rosso Chiaro to match the coachwork. The Giulietta is UK registered, with a current MoT test certificate valid until March 2015 and Historic tax status valid until the end of January 2015. Having covered less than 400 miles since its complete restoration, interest in this fine example of the elegant and utterly useable Giulietta will be significant at the estimate of £35,000-£42,000 – a price well below current restoration costs. 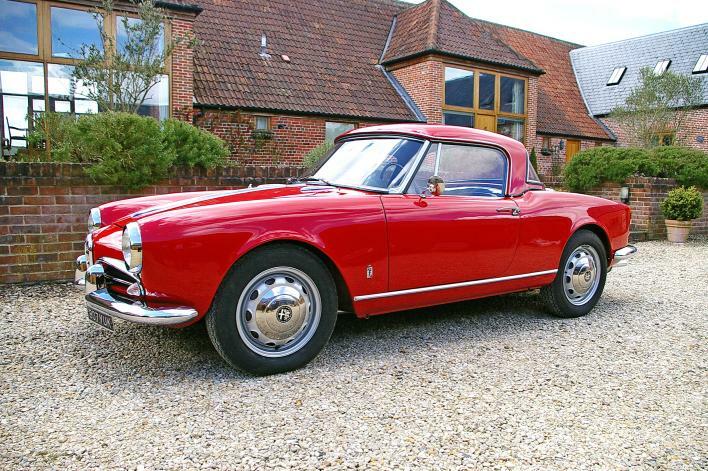 The 1960 Alfa Romeo Giulietta Spiderjoins 120+ other prime classic motor cars, plus a similar volume of fine classic motorcycles, at Historics’ largest auction of the year at Brooklands Museum, near Weybridge, on Saturday June 7, with viewing the previous day. For more information and the full consignment list, visit http://www.historics.co.uk, or call 01753 639170 and e-mail: auctions@historics.co.uk.